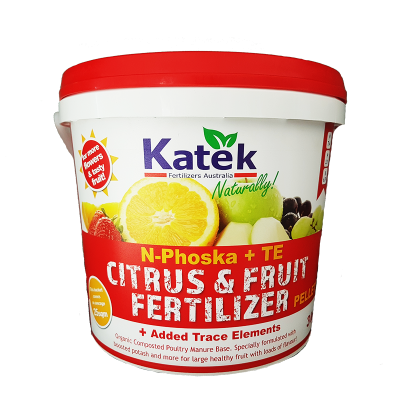 An organic all-purpose liquid fertilizer with a complete enriching formula for healthier, stronger plants. Rejuvenates soil and encourages healthy microbes and earth worms! Slowly releases nutrients as your plants need them! 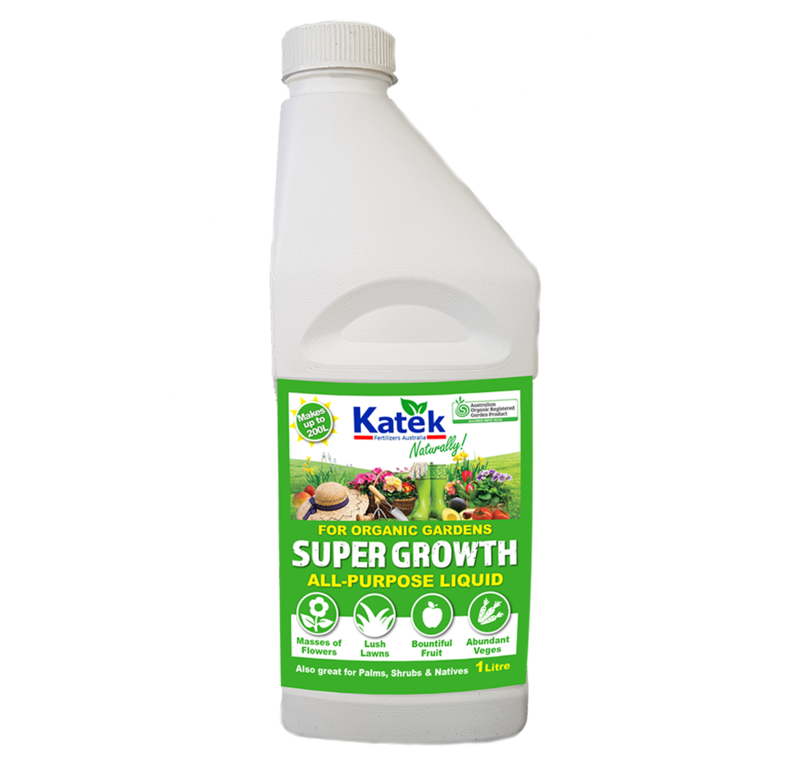 Super Growth Liquid Fertilizer is formulated to improve soil health and boost plant and root growth. Feeding through both the roots and leaves means fast results. 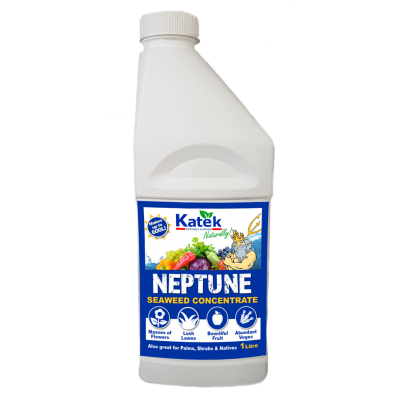 This organic fertilizer contains: Liquid composted poultry manure, liquid fish, kelp, humic & fluvic acid. 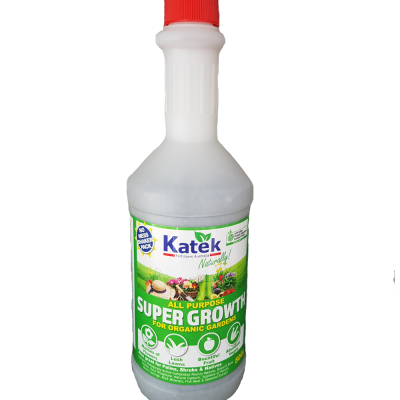 Our super-duper Super Growth liquid is available in a larger 5L bottle & 20L drum. We even have bulk product for larger applications (200L & 1000L pods). Full of naturally balanced minerals and trace elements. Supports earthworms and micro organisms. Important in protecting plants during hot, dry weather or during times of frost. Builds pest and disease resistance. 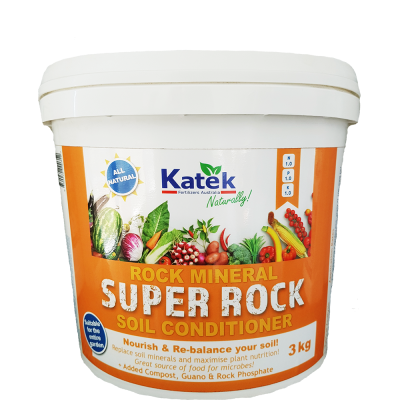 Improve the soil, increase plant root growth and metabolism and help plants deal with environmental stresses.